Choosing Master Movers for your next Nashville Move. Choosing Master Movers for your next Nashville Move is a very wise decision. 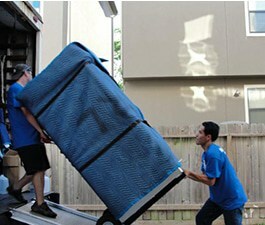 Services of moving companies are important when you have plans of moving your home or business. Professional Nashville movers can be highly trusted to help you transfer your belongings or products to another location, less the stress and the hassles that are usually associated with moving. At Master Movers we know that a <a title="local movers nashville" href="https://www best fat burning supplement.facebook.com/pages/Master-Movers/159941667351637″ target=”_blank”>moving company is expected to be manned with highly-trained and qualified drivers, packers, and office support team. Moreover, they have reliable personnel who are experienced in the proper loading and unloading of your precious items. This means you’ll have more peace of mind knowing that the entire moving process will be handled efficiently. This is the most comprehensive service provided by many local movers in the industry. In this type of service, moving companies undertake the entire tasks involved from pre-moving plans up to the final move in. Movers provide their own personnel to handle the packing, loading, delivering, unloading, and unpacking responsibilities. Reputable companies will also offer insurance coverage for your items so that you can be assured that your belongings are protected from unexpected damages or losses. Nashville Moving companies also allow their customers to have a freehand in choosing only the specific services that they need. This way, you can choose to pack your own things and just assign the tasks of loading, transporting, and unloading to your chosen moving company. If you feel that these companies are more knowledgeable in handling fragile items to be packed, you can simply instruct them to take care of packing the fragile items, leaving the rest of the items to you. Professional moving companies have complete supplies that are necessary for safe and efficient transport of your items. You may entrust them to take care of all the required supplies like boxes, stretch wraps, dish barrels, packing tapes, bubble wraps, and many more. This will save you a lot of time from having to source out for the materials yourself. To ensure that you end up choosing the right moving company, take the time to read Nashville moving company reviews. This will allow you to have access to well-rated and reliable companies.